his work as an abstract painter and theorist. Josef Albers favored a very disciplined approach to composition. Josef Albers was the leading opponent for minimalist abstract art. 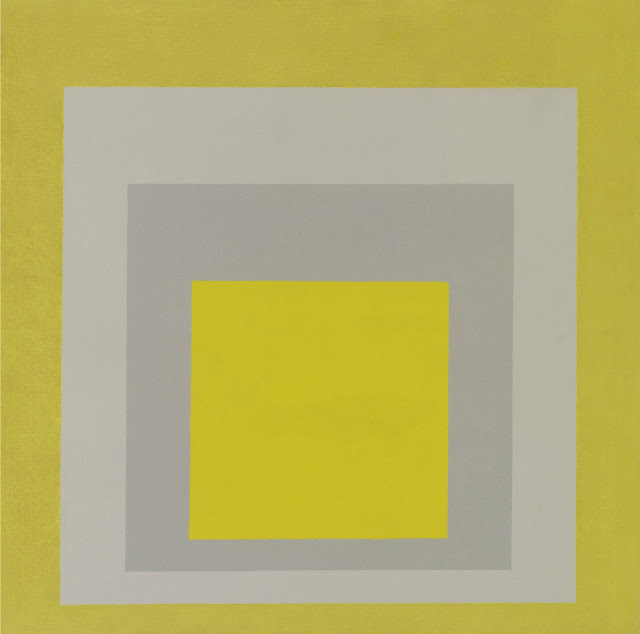 Josef Albers explored chromatic interactions with flat colored squares arranged concentrically. used on the back of his works.